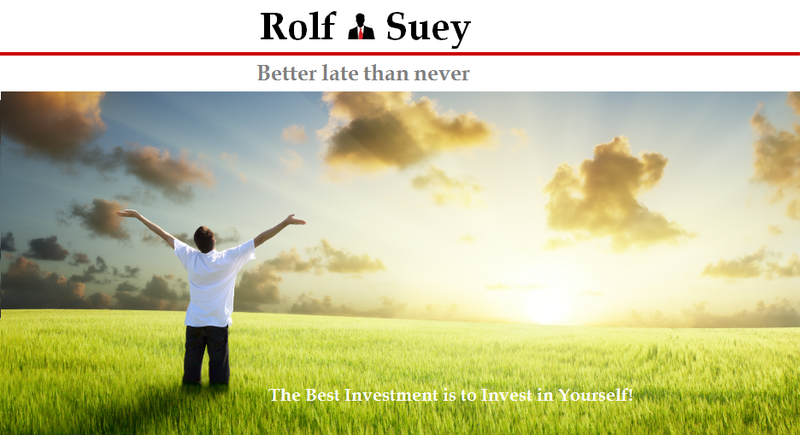 Rolf Suey - Better Late Than Never: Where should you invest your money now? Where is Jim Rogers putting his money? Buy Gold when it gets under $1000. Going to test the bottom. If world collapse, it may go to $20, then buy all you can. JR owns majority of it. People think USD is a safe haven when problems come, but it is not. Yet, people are not going to buy AUD, Yen, Euro, so still USD. Agriculture, China (if it collapses), and Russia. That is enough. If I have just $100 in the pocket and I didn’t want to lose that money and make sure it will not go any lower, where should I put? Just put in your pocket, go to the beach enjoy and wait. ... and the safest way to double your $100? The other more tangible way is to convert it to rm300 and go for a seafood meal with family with surplus for some shopping. Indeed. In fact I was in Msia last week and most things look cheap especially the local food. And apparently good as well! business trip or family trip? well, i like to back malaysia also. yes, can enjoy good food with cheap price and good movie too. Yeah! I like Msia cheap and good food too. It's for business trip last week. In few hours time I am going for Honeymoon trip in Taiwan. Yeh... Yeah!